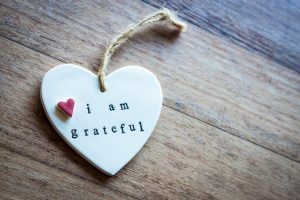 Allowing yourself to experience a greater sense of gratitude in life makes day-to-day routines seem like a blessing, rather than a chore; for people in early recovery, gratitude can make a huge difference in the overall quality of their life and their recovery. Gratitude allows you to experience happiness, can open the door to new relationships and friendships, and will improve your physical and psychological health, while also enhancing empathy and reducing aggression. Let’s take a look at some research-backed evidence and helpful tips concerning this all-important trait. First, let’s start off with a simple definition. Gratitude: noun. “The quality of being thankful; readiness to show appreciation for and to return kindness.” Gratitude is a key component of the 12-step way of thinking in Alcoholics Anonymous; many sponsors instruct their sponsees to write gratitude lists and practice gratefulness daily. Gratitude can ease the pain of disappointment and the stresses of life before they become an issue. Gratitude allows people to see things as they are, without the coloring of individual perception. A 2006 study published in Behavior Research and Therapy researched the levels of post-traumatic stress (PTSD) in Vietnam War veterans. Veterans with higher levels of self-reported gratitude experienced dramatically lower rates of PTSD and stress-related illnesses. Gratitude can transition your object of mental fixation from a negative event towards a more optimistic and bright outlook. It’s hard to be bogged down by negative past events when you are experiencing the beauty of the moment or the optimism of the future. In 2011, a study was published in Applied Psychology: Health and Well-Being. 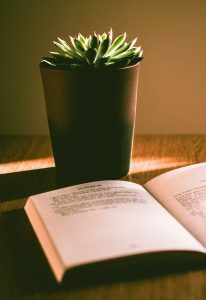 The study found that subjects who spent 15 minutes journaling a few grateful sentiments before bed slept longer and deeper than the control subjects. The bottom line? Gratitude journaling can improve your overall quality of sleep. Gratitude has been shown to reduce social and economic comparison amongst people; rather than resent themselves or others because someone may have more money or a better job, grateful individuals are able to appreciate other people for their accomplishments without wallowing in negative comparison. Gratitude has the ability to remove toxic emotions; jealousy, regret, envy, frustration, anger, and self-pity are all very difficult to experience when you are filled with gratitude. According to a leading gratitude researcher, Robert A. Emmons, Ph.D., numerous studies show a direct link between the practice of gratitude and reduced rates of depression. Emmons’ research also confirms that gratitude is linked to increased levels of happiness and life/job satisfaction. Another benefit? Gratitude was shown to increase athlete’s level of optimal performance, according to a study published in 2014 in the Journal of Applied Sport Psychology. Grateful people have been shown to take better care of their health, exercise more, and visit the doctor’s office more frequently. Grateful individuals also experience fewer injuries, aches, and pains, according to a 2012 study conducted in Personality and Individual Differences. Gratitude is a wonder-drug. Better sleep, more self-esteem, improved physical and mental health, and an increase in empathy? Sure sounds like a good deal. People in early recovery can use all the tools they can get their hands on; count gratitudes instead of resentments, and we can guarantee that your perception towards life will begin to change. Are you missing the forest because you are focused on the trees? It is easy to lose mindfulness and go through the routine of life. Whatever you are experiencing in the moment, truly experience it. If you are washing the dishes, experience the suds on your hands. If you are having dinner with a friend, put your phone away and be absorbed in the other person and the conversation. If you are working out, then work out! Feel your muscles contract and your pores sweat. Feelings of gratitude can manifest emotions and situations that you never thought possible. Appreciate more, live more, and be more content with your current situation, no matter what it is. Many influential individuals have found great solace in gratitude. Do you find yourself saying negative things about yourself or other people in your own head? Words are incredibly powerful and they have the power to shape your entire reality. Saying things like “I’m so depressed, I can’t get over this”, “I’m too tired to do that…”, or “I can’t”, can shape your reality in ways you can’t imagine. Control your thoughts! If you find yourself feeling more entitled, resentful, or you keep repeating negative self-talk…. Stop! Mindfulness meditation is a powerful tool when you begin to take accountability for your thoughts and actions. Any time you begin to experience negativity or rumination, think to yourself, “thought!” Stop the process of rumination and move on. What you feed, will grow. The world is full of opportunities. Life has just begun. There is so much out there to see, to do, to touch, to experience! The glass if always half-full. Be content with what you currently have! Anything else that you receive from this point onwards is a gift. Every day is a gift. That sure sounds better than “I can’t”, doesn’t it? Acknowledge your past failures but do not wallow in them. As the Big Book in Alcoholics Anonymous says: “We will not regret the past nor wish to shut the door on it”. The past is simply a learning experience; previous failures, heart brakes, frustrations, mistakes, and misgivings are stepping stones. By learning who you are not, you will begin to learn who you are. Use the past as a road towards your own self-actualization. Be grateful of the pain in your life. Be grateful of the pleasure in your life. Be grateful that you have the capacity to experience everything that life has to offer. Gratitude is one of the most effective tools for people, both in and out of recovery. 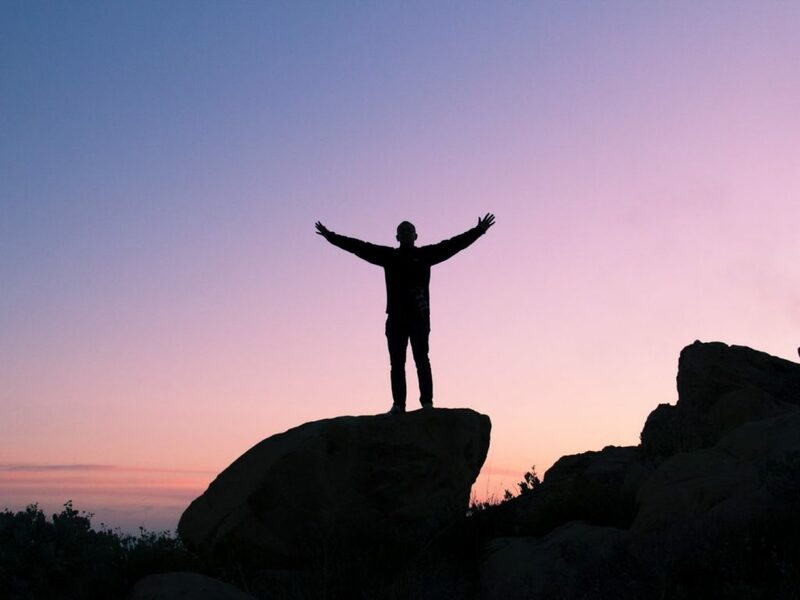 You don’t need to be a recovering addict or alcoholic to experience the beauty that gratitude has to offer; you just need to be a willing person. Often times, humans will create their own problems when presented with the absence of real issues. Take it upon yourself to create joy.